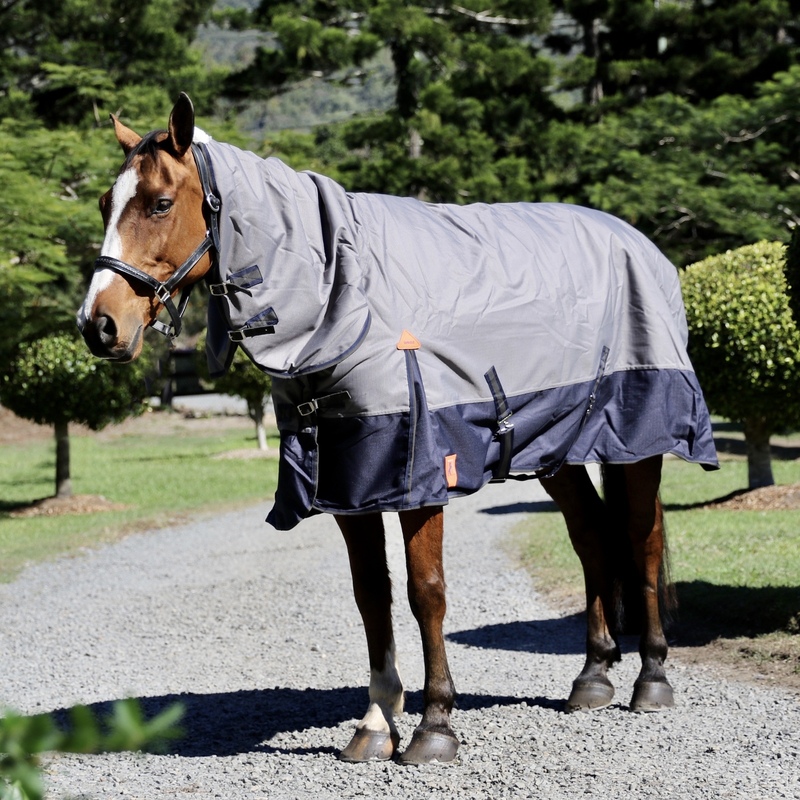 6'9" 6'6" 6'3" (Out of Stock) 6'0" (Out of Stock) 5'9" 5'6" 5'3" 5'0" 4'9"
This is the ultimate winter turnout combo that’s built to last! 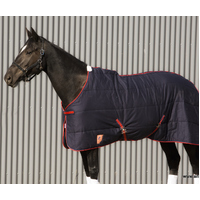 The Rug is made in a classic Grey & Navy two tone design, using the highest quality 1200D Rip-stop fabric with a waterproofing rating of 3000mm and being breathable at the same time. 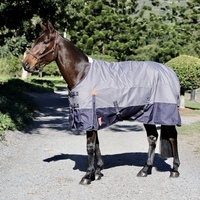 This combo ensures that your horse not only remains dry and warm in even the worst weather conditions but also ensures that no sweet or moisture is trapped inside the rug. 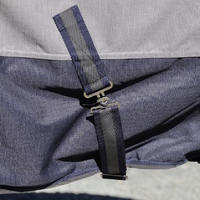 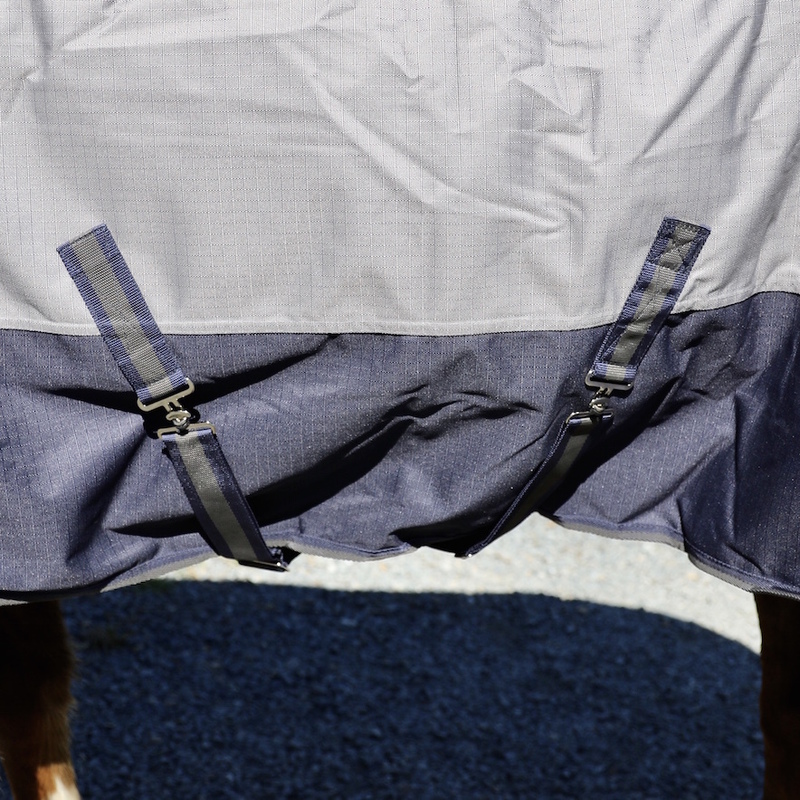 For further protections and water proofing all seams are heat sealed. 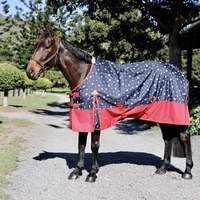 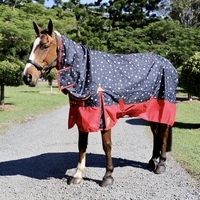 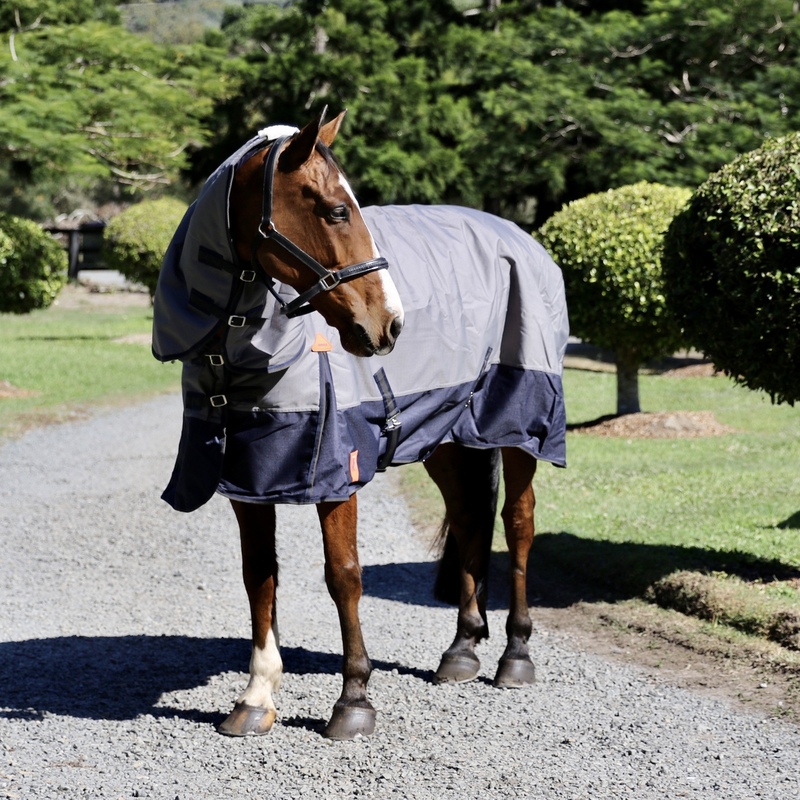 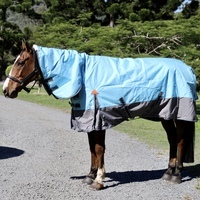 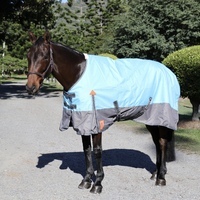 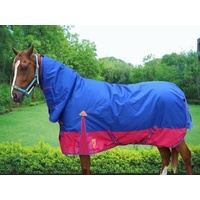 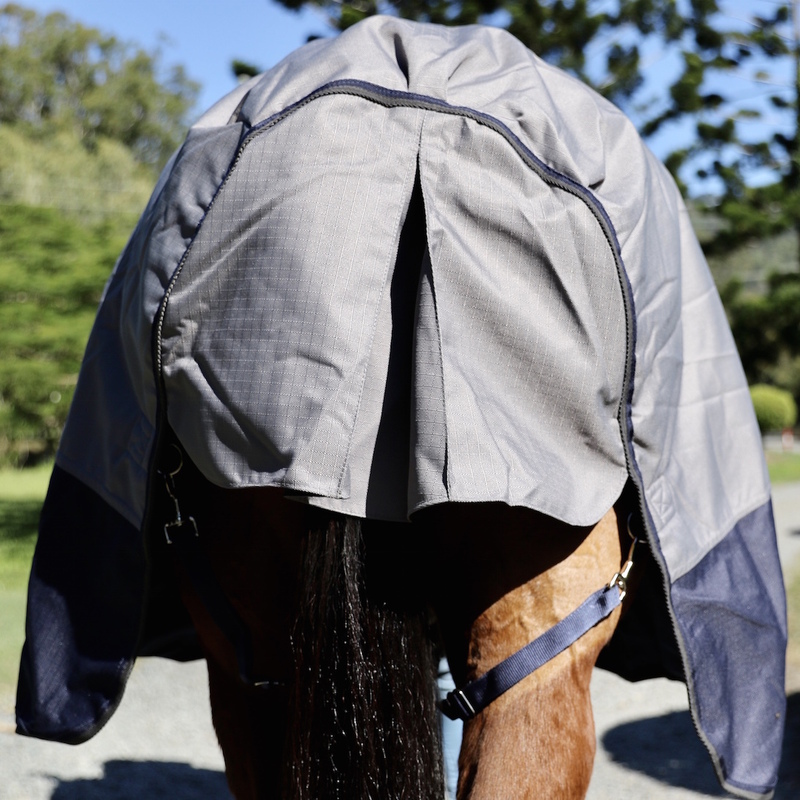 The combo comes lined with a soft water-resistant Nylon lining along with a 250 gram filling to keep your horse snug and warm. 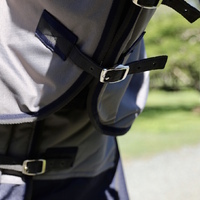 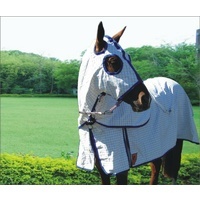 The shoulder gussets and a generous neck will provide your horse that extra freedom of movement. 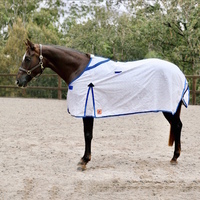 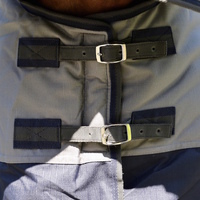 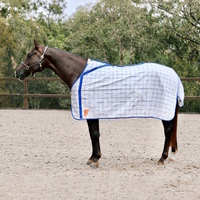 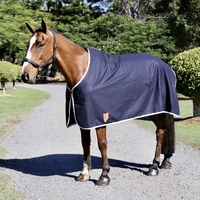 Further, an extra large tented tail flap, adjustable sursingles, double chest buckles and Velcro closers at the chest and neck provide that extra bit of protection to the horse. To ensure durability, high quality metal fittings have been used that have been Bar-Tacked at all pressure points.